At a glittering evening with the galaxy of stars and celebrities, Archana Chandele of Nagpur shone brightly as she won the Bright Perfect Miss India 2016. Khooshi Thakkar, Gurubhai Thakkar, Yogesh Lakhani of Bright outdoor and Srinivas Rao Bhagavatula of ‘People’s Engineering‘ organised Bright Perfect Miss India 2016 at Sun & Sand Hotel, Juhu where celebs from Bollywood came. The radiance and glow shone on the face of the winners spreading across the area thus illuminating the scene of the event. Everybody was enjoying the moment of glory. Her joy and happiness was boundless complementing to her emotions Hemu Shetty , a well-known actor from Bollywood and Tulu Cinema and an aspiring Hollywood actor quoted “Archana will definitely make a mark in Bollywood and will be successful in her endeavours”. Further to the same Hemu Shetty, who is always gung-ho and upbeat about this growing vibrant industry the symbolic host of entertainment globally commented “ Bollywood always welcomes promising aspirants whole-heartedly and paves a broader path to accommodate all of them to get the much-needed space”. 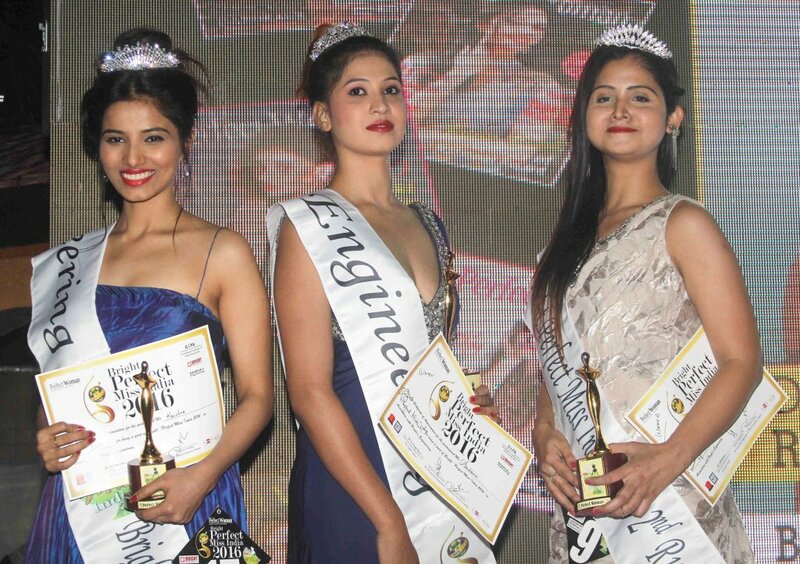 Along with Archana Chandele of Nagpur who won the crown, Ekta Sachgotra from Jammu was 1st runner up and Krishna Patel was the 2nd runner up. Designer Archana Kochhar,Sana Khan designed dresses for models who took part in finals. Sherlyn Chopra, Tinaa Ghaai, Ankita Shrivastava, Prateeka Rao,Maryam Zakaria, Ekta Jain, Tanisha Singh, Chandrakant Singh , Salma Agah, Sasha Agah, Sunil Pal, Shabab Sabri, Ajaz Khan, Sujay Mukherji, Supriya Mukherji, Geeta Hari, Sweta Khanduri, Sanchiti Sakat and many more came to part of this event. Pooja Misrra not only anchored the event but also performed at this event. Sanchiti Sakat,Yash Wadali and Shabab Sabri sang specially for this event. Sunil Pal cracked some latest jokes at this event.